Coinone is an exchange platform based in Korea that aims to bring Bitcoin, Ether, Ether Classic and other cryptocurrencies to the masses. Great! You have just created an account on Coinone. 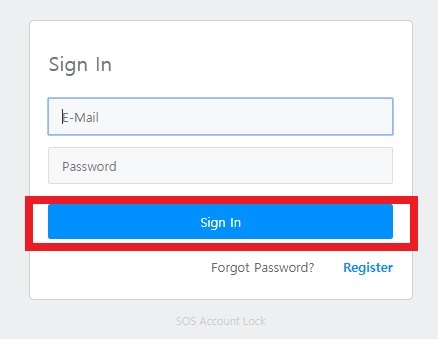 After registering successfully, a link will be sent to your email for verification. Simply go to your email, open the message from Coinone and click the verification link. Next, you will be redirected to Coinone. Good job! You have just verified your account on Coinone. To start trading, you must first deposit funds to your Coinone account. To do this, click the “D/W” button located at the top bar of the homepage. 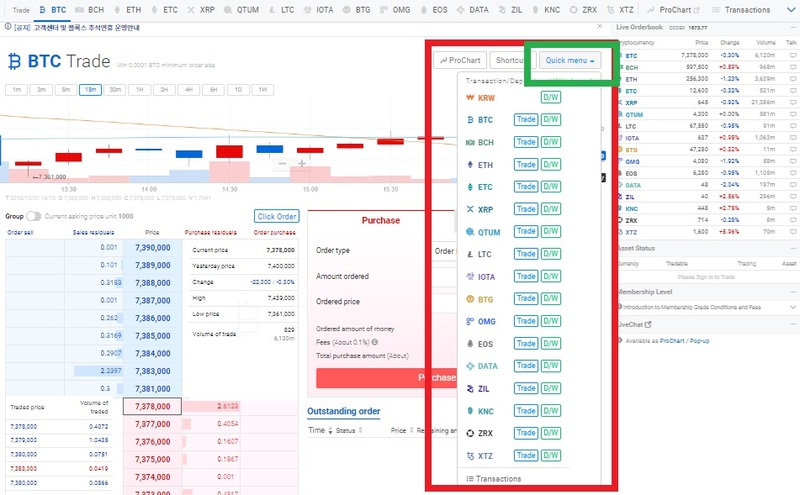 Look for the currency you wish to deposit funds to from the horizontal list of currencies, or you can just go straight to the “Quick menu,” click the drop-down arrow and select the one you prefer. In this example, we are using Korean Won, which is Fiat money. Click the “D/W” button beside it. In the Wallets section, select “Deposit” and on the Deposit form, enter the amount you want to deposit and click on the “Deposit” button to proceed with the transaction. Awesome! You have just deposited funds to your account on Coinone. Pick the cryptocurrency you want to trade with from the list. 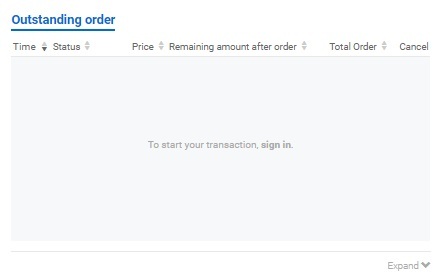 You can check your transactions at the Outstanding Order section located just below the Order Form. Congratulations! You have just bought your first Ethereum on your account on Coinone. Transferring Ethereum from Coinone to other exchanges. How to transfer Ethereum from Coinone to Bits Blockchain? How to transfer Ethereum from Coinone to BCEX? How to transfer Ethereum from Coinone to B2BX? How to transfer Ethereum from Coinone to Upbit? How to transfer Ethereum from Coinone to Coinfloor? How to transfer Ethereum from Coinone to QuadrigaCX? How to transfer Ethereum from Coinone to HADAX? How to transfer Ethereum from Coinone to OEX? How to transfer Ethereum from Coinone to LBank? How to transfer Ethereum from Coinone to Fisco? How to transfer Ethereum from Coinone to BTCTrade? How to transfer Ethereum from Coinone to Qryptos? How to transfer Ethereum from Coinone to Lykke? How to transfer Ethereum from Coinone to Independent Reserve? How to transfer Ethereum from Coinone to EXMO? How to transfer Ethereum from Coinone to DSX? How to transfer Ethereum from Coinone to Bitstamp? How to transfer Ethereum from Coinone to LiveCoin? How to transfer Ethereum from Coinone to LakeBTC? How to transfer Ethereum from Coinone to Bitlish? How to transfer Ethereum from Coinone to BitInka? How to transfer Ethereum from Coinone to Bitfinex? How to transfer Ethereum from Coinone to ANXPRO? How to transfer Ethereum from Coinone to 1BTCXE? How to transfer Ethereum from Coinone to Gatecoin? How to transfer Ethereum from Coinone to Kraken? How to transfer Ethereum from Coinone to Gemini? How to transfer Ethereum from Coinone to Coinbase? How to transfer Ethereum from Coinone to CEX.io? How to transfer Ethereum from Coinone to bitFlyer? How to transfer Ethereum from Coinone to GDAX (CoinBase Pro)? How to transfer Ethereum from Coinone to Indacoin? How to transfer Ethereum from Coinone to Bitbank? How to transfer Ethereum from Coinone to Allcoin? How to transfer Ethereum from Coinone to DigiFinex? How to transfer Ethereum from Coinone to Idax? How to transfer Ethereum from Coinone to BitForex? How to transfer Ethereum from Coinone to Simex? How to transfer Ethereum from Coinone to Coinegg? How to transfer Ethereum from Coinone to Coinbene? How to transfer Ethereum from Coinone to TOPBTC? How to transfer Ethereum from Coinone to Coinsuper? How to transfer Ethereum from Coinone to Poloniex? How to transfer Ethereum from Coinone to HitBTC? How to transfer Ethereum from Coinone to KuCoin? How to transfer Ethereum from Coinone to xBTCe? How to transfer Ethereum from Coinone to Bibox? How to transfer Ethereum from Coinone to CoinFlux? How to transfer Ethereum from Coinone to Bittrex? How to transfer Ethereum from Coinone to Binance? How to transfer Ethereum from Coinone to YoBit? How to transfer Ethereum from Coinone to OKEx? How to transfer Ethereum from Coinone to OKCoin? How to transfer Ethereum from Coinone to MixCoins? How to transfer Ethereum from Coinone to itBit? How to transfer Ethereum from Coinone to BTC-Alpha? How to transfer Ethereum from Coinone to Bithumb? How to transfer Ethereum from Coinone to BitBay? How to transfer Ethereum from Coinone to BTCBOX? How to transfer Ethereum from Coinone to OOOBTC? How to transfer Ethereum from Coinone to CoinTiger? How to transfer Ethereum from Coinone to Dragonex? How to transfer Ethereum from Coinone to RightBTC? How to transfer Ethereum from Coinone to EXX? How to transfer Ethereum from Coinone to gate.io? How to transfer Ethereum from Coinone to Exrates? How to transfer Ethereum from Coinone to CoinsBank? Transferring Ethereum from Coinone to wallets.